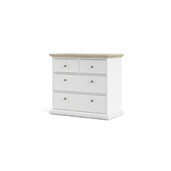 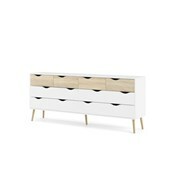 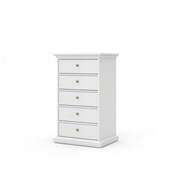 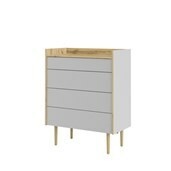 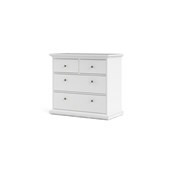 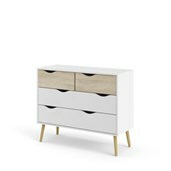 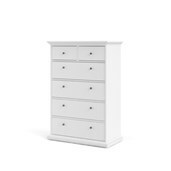 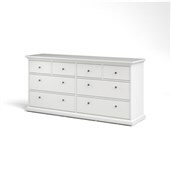 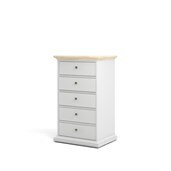 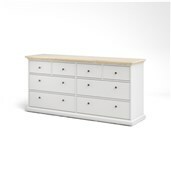 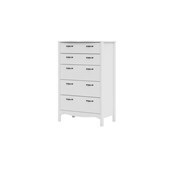 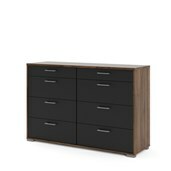 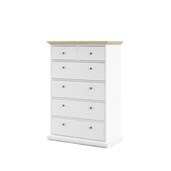 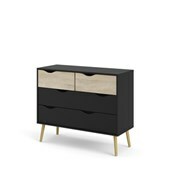 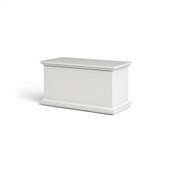 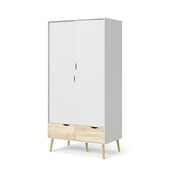 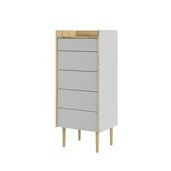 Make a big statement with the Oslo 8 Drawer Dresser. 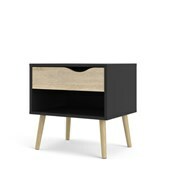 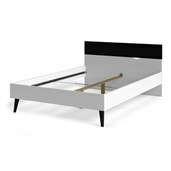 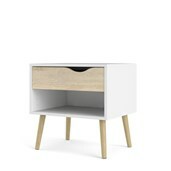 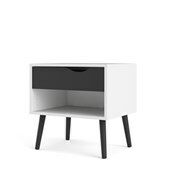 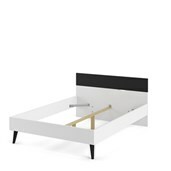 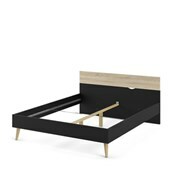 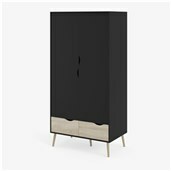 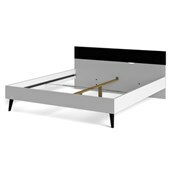 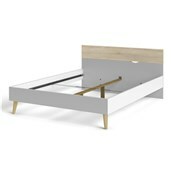 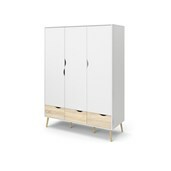 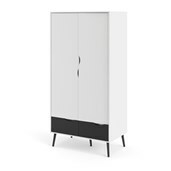 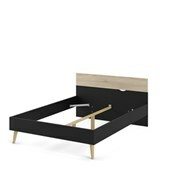 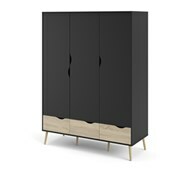 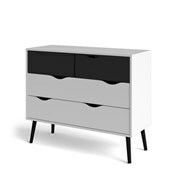 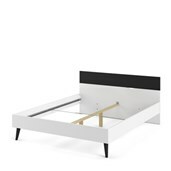 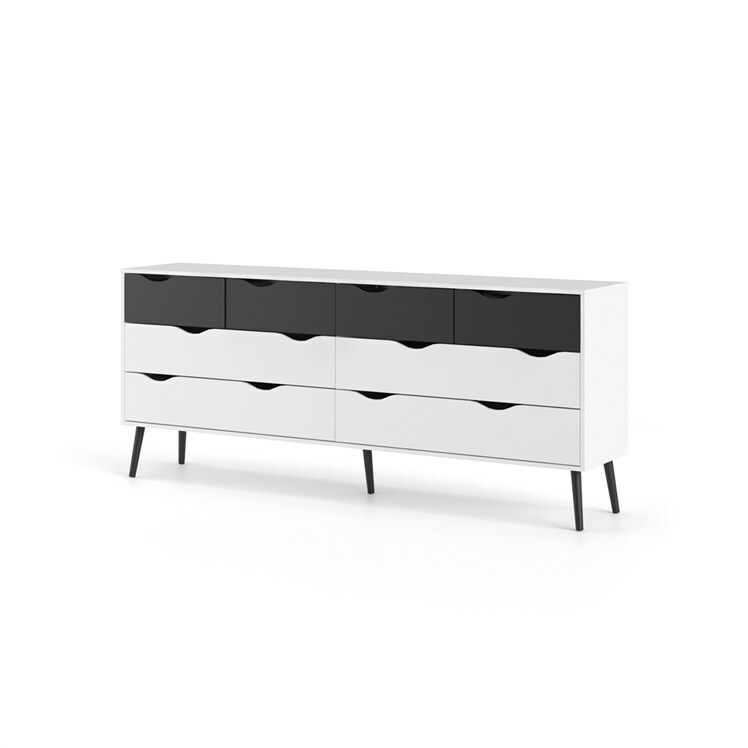 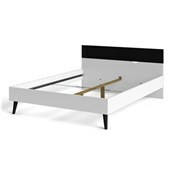 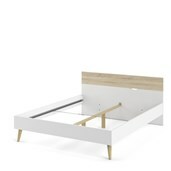 Clean lines, sleek handle-free drawer fronts and a two-tone finish create a classic retro modern look. 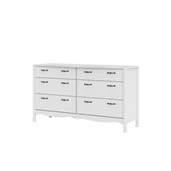 With four small drawers and four large drawers, this Oslo 8 Drawer Dresser has room for everything. 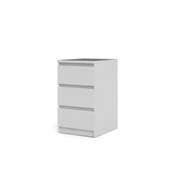 Plus, it’s environmentally friendly and has a durable, scratch-resistant surface. 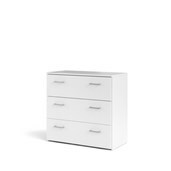 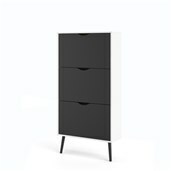 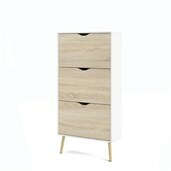 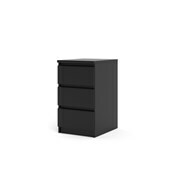 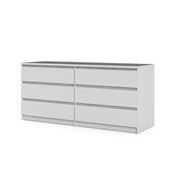 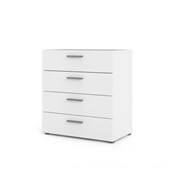 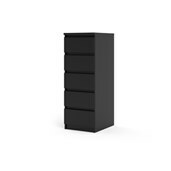 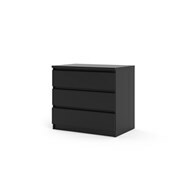 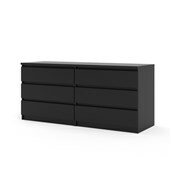 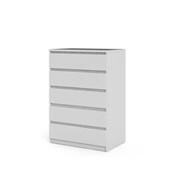 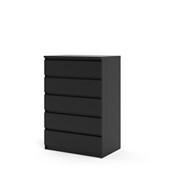 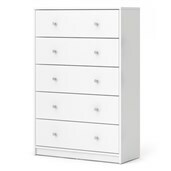 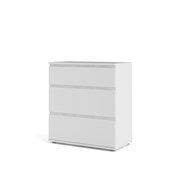 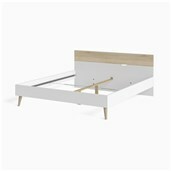 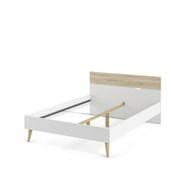 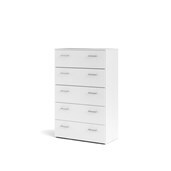 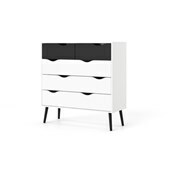 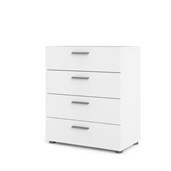 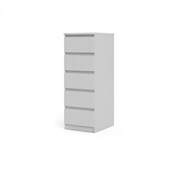 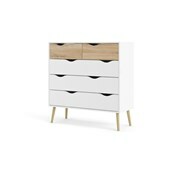 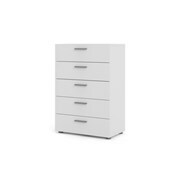 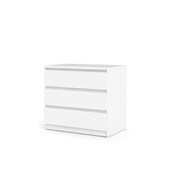 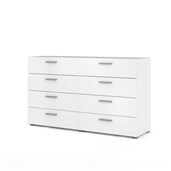 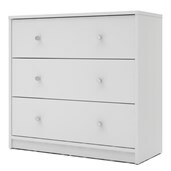 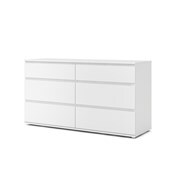 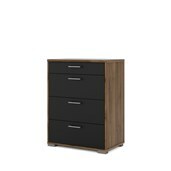 Get organized in an instant with the Oslo 8 Drawer Dresser.